Thomas & Mercer, 9781477808726, 510pp. Private military contractors. They're not just for foreign wars anymore. Jon Cantrell, a disgraced ex-cop, works for one such company. He's a DEA agent paid on a commission basis, patrolling one of the busiest drug-hubs in the country: Dallas, Texas. When Cantrell confiscates the wrong shipment of drugs, he finds himself in possession of a star witness in a cartel trial that could destroy the largest criminal organization in the hemisphere. To turn a profit, all he has to do is deliver the witness to the US Attorney in a tiny town called Marfa on the other side of the state. An easy trip, except a group of competing DEA contractors and a corrupt Dallas cop want everybody involved dead. 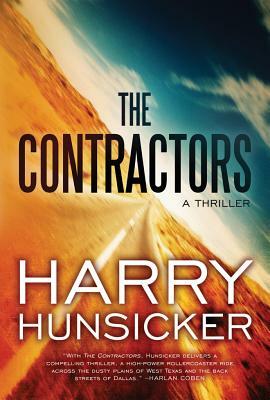 This heart-stopping thriller takes listeners deep into a strange underworld where the lines between government officials and mercenaries blur. In this complex network of drug traffickers, cartels, politicians, and police, no one's hands are clean.